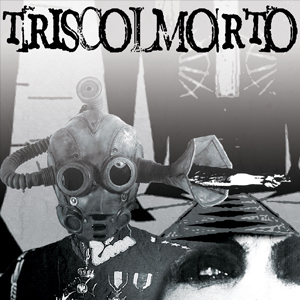 All songs written by Triscolmorto. “Any musician can transpose rustling leaves to music, but you need a different kind of talent to translate the rhythm of a yellow tone from a frame, to a corresponding musical one,” said Sergei Eisenstein to his students, speaking about his close collaboration with Prokofiev. The history of musical composition for cinema began in Paris in 1886. At the Cabaret du Chat Noir, projected moving images were accompanied by a piano, even played by the illustrious Eric Satie and Claude Debussy. In 1892 Émile Reynaud presented to the public of the Musée Grevin his "Théâtre-Optique", which included some "pantomime luminose" in which dogs, clowns, acrobats and horsewomen moved to the rhythm of a small orchestra, creating the premise for synchronization. Later on, at the Cinématographe Lumière at the Grand Café del Boulevard des Capucines pianists sat along side the screen, improvising pieces inspired by the nature of the scenes, and their names even appeared on the playbills. Projecting a silent film to the public without a musical accompaniment produces a sense of condemnation and unbearable “deafness”. The two musicians and composers Cosimo Cappagli and Emiliano Bugatti, on synthesizer and piano, are developing a work of historical, critical and theoretical research into black and white cinema. They know that a film comes to life through light, but also through music. The public used to applaud and still applauds the silent echo of actors and distant places, now long gone, continuing to live happily in the dimension of rhythm and desire.Triscolmorto is a music duo born in Florence in 2011. Casabuia and Midori Dropout started working on silent movies of the 30's and 40's. The common idea is composing original soundtracks for different kind of films: Experimental, Dadaist, Surrealist and other movies from unknown directors.